Bergstrasse is located downtown in the center of Berlin. The new main train station Hauptbahnhof is just 1 km away. 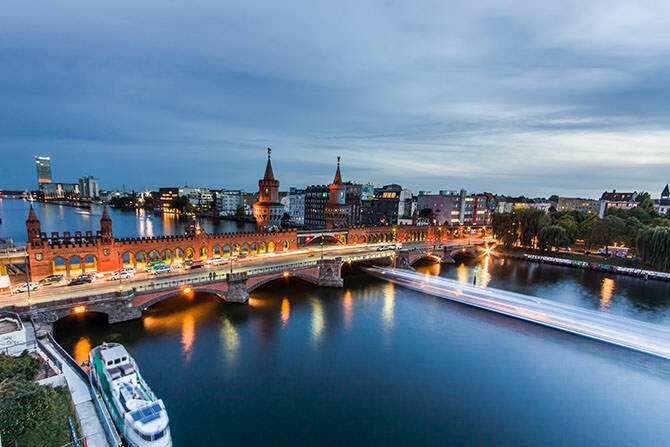 Friedrichstrasse, Unter den Linden, Museumsinsel and Gendarmenmarkt, Reichstag and Brandenburg Gate are located within walking distance (10-20 min.). 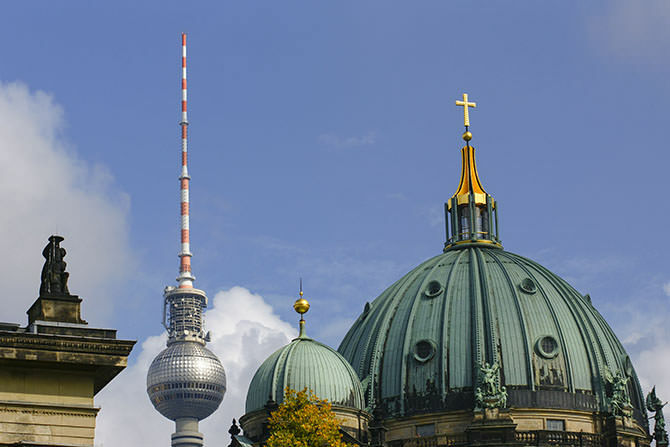 In the immediate vicinity you can enjoy the wide range of restaurants, pubs and galleries of Mitte and Prenzlauer Berg. Also nearby are Staatsoper, theaters and museums. The next tram stop is just around the corner, Underground and S-Bahn stations are within walking distance. A Deezer next bike base is in front of Bergstrasse 18. The next S-Bahn station is Nordbahnhof (5 min. walk or 1 stop by tram). 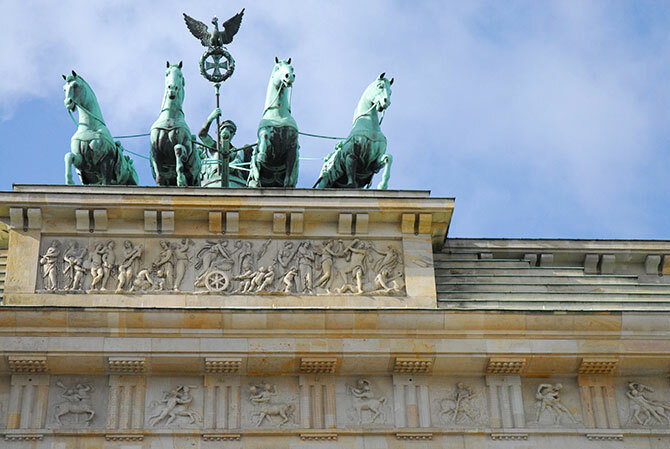 During the day there are trains every 3 minutes southbound to Brandenburg Gate, Potzdamer Platz or further on to Wannsee, there train connection available to Potsdam. Northbound you ride to Gesundbrunnen or to the northern districts Frohnau, Buch and further on to Oranienburg (memorial Sachsenhausen). 2 stops southbound you will be at the S-Bhf. Friedrichstraße, there transition to the light rail and regional traffic. The next station to the west is Hauptbahnhof (Reichstag, Chancellery) to the east Hackescher Markt. Just around the corner at Pappelplatz the tram line M8 to main station and to the east (Alexanderplatz, Friedrichshain, Marzahn) and 12 to Museumsinsel (Kupfergraben) or to the north (Prenzlauer Berg / Kollwitzplatz / Weissensee). At 2 tram stops U-Bhf. Naturkundemuseum (make sure to take a look at T-Rex). 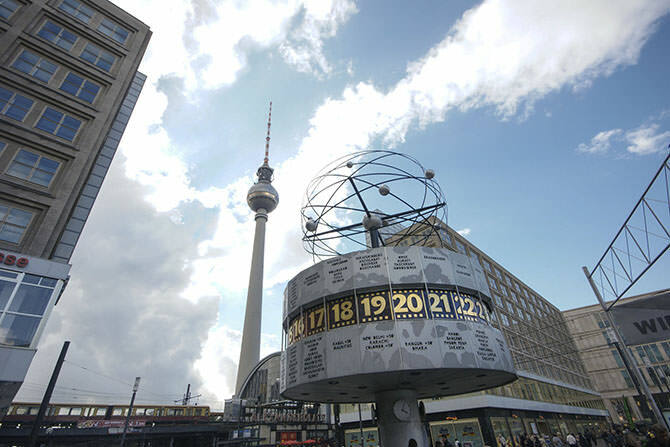 The subway runs under Friedrichstrasse to Gendarmenmarkt and further on to Tempelhof, in the other direction to Tegel. 5 min. walk in the other direction U-Bhf. Rosenthaler Platz (leading to Alexanderplatz and further on Kreuzberg or Pankow in the other direction).